Umbrella Company Portal - What is a Pay and expenses Portal? At Contractors Umbrella Company (CUC), we are incredibly proud of our systems which provide comprehensive, compliant tax and payroll solutions with optimal fast payment processing. Quite a mouthful, in simple terms you get paid super quick and your pay and expenses are vetted and quality controlled directly via our HMRC compliant systems which tell you if there are any issues. We still complete a manual audit and process as belt and braces, keeping you, your client, your agency and us on the right side of HMRC for each and every transaction. 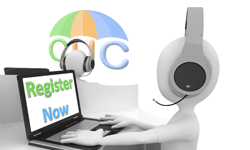 Contractors Umbrella Company offer all our clients a Secure Portal for their convenience. You don't need any technical knowledge or previous portal experience to enjoy all the benefits of our umbrella company experience. A portal is an electronic gateway accessible over the internet through your web browser. It means we can share information any time of the day, 24/7. You can login to your portal wherever you are and whenever best suits you. All Contractors Umbrella Company clients can login to an area where they can view, download & upload private information. It's easy to use and is totally safe. Rest assured all your information is hack-proof! Our secure portal gives our contractors complete control of their own Contractors Umbrella Company online account facility. Our secure portal gives our contractors complete control of their own Contractors Umbrella Company online account facility. When you click 'submit' your recruitment agency instantly receives an invoice based upon your contract rate and timesheet details. Just confirm the details online, and send in your receipts. If you're unable to phone, send us a message and we'll reply within 4 working hours. All your payslips are available to view online at anytime. Every one of your timesheets is archived and can be accessed whenever needed. View, modify and amend as necessary. Moved house or changed email? Instantly update your contact details to keep us up to date. Full Staff handbook for your reference and information. Access offers and services unique to our clients.